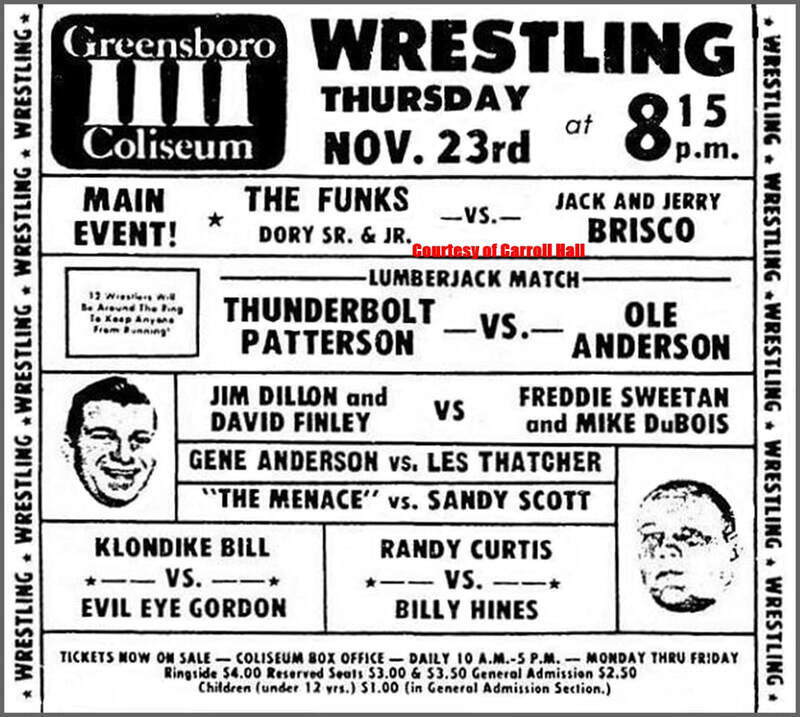 To Mid-Atlantic fans, the announcing of a card to be held in Greensboro at the Coliseum meant Jim Crockett Promotions was putting together an event that would have been PPV material in the days we now live in. This was not your “usual” great card, but a super card that was held around a dozen times a year and sometimes on special days like Thanksgiving. Fans were guaranteed a night of explosive excellence, and JCP was guaranteed a sellout usually of over 15,000 fans. Sit back and relive a piece of chronological wrestling pie at its best; thirteen fantastic cards! 8 - Brisco Brothers def. 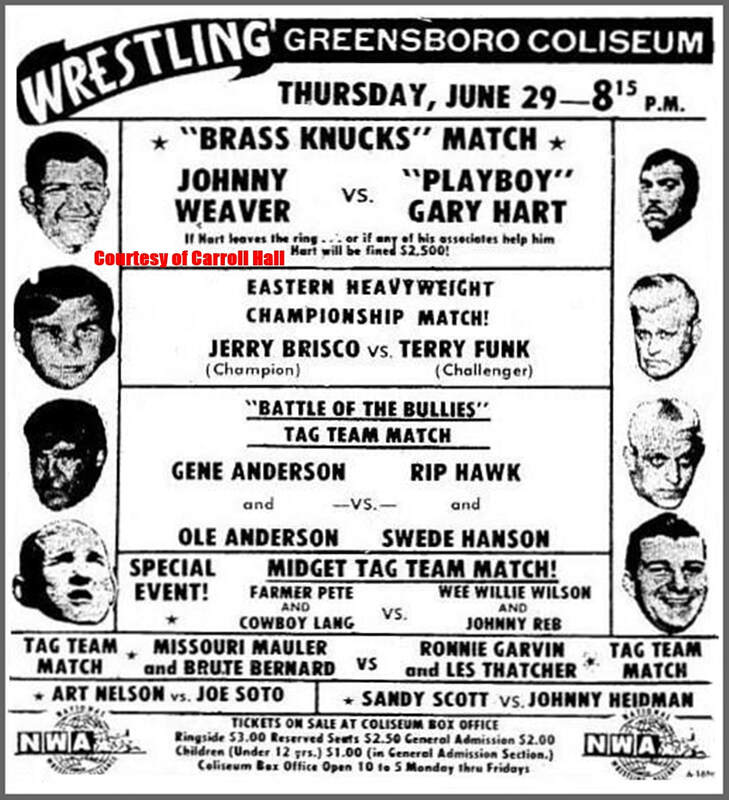 Dory Funk Sr. & Jr.
Greensboro Coliseum History: Chapter Two. Greensboro Coliseum History: Chapter One - Read Here.